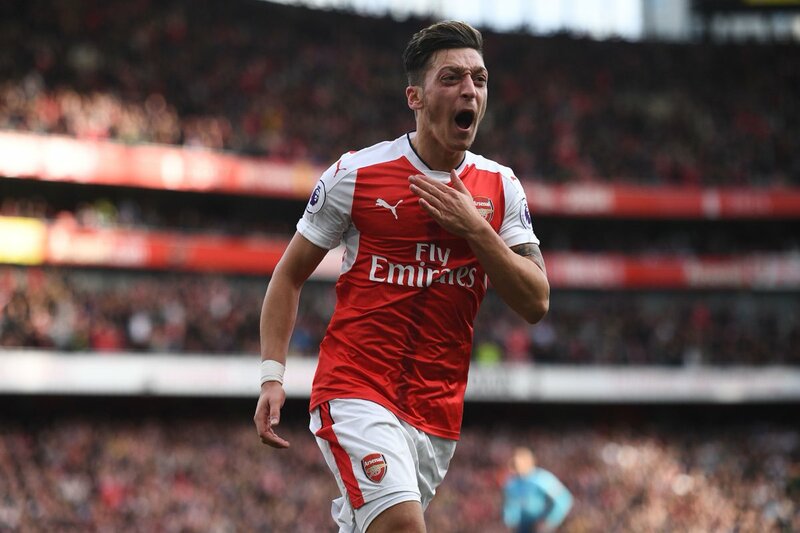 Reports in England claim Mesut Ozil has decided to stay put at the Emirates Stadium. The German is expected to agree a £275,000 a week deal before the end of the season even as Manchester United and Barcelona remain interested. The 29-year old has been the subject of a long drawn contract issue but he is expected to agree fresh terms that will keep him at the club for many more years. The player can sign pre-contract with foreign clubs from January or talk with other interested local sides but bookies bet 1/5 that he would stay put. The Catalan side can escape a hefty transfer fee if they agree terms with the player in January. They would only have to pay Ozil sign-on fees to get him. However with Andre Iniesta aging, the ranks at the Nou Camp prefer a younger player for strategic reasons. Barca are 8/1 to sign the former Real Madrid playmaker. Manchester United were hoping to snap up Ozil but with Arsenal making a last gasp move to keep the talented player, the club might have to retain Armenia international Henrikh Mkhitaryan. Jose Mourinho has talks with the player amid interests from Inter Milan and his former club Borussia Dortmund. For now, the Red Devils would have to hold onto him even if they low-key seek a replacement. As the Gunners keep Ozil, they would likely have to ask Jack Wilshere or Santi Cazorla. Arsene Wenger wants to bring Steven N’Zonzi from Sevilla for about £33 million, reports claim. Cazorla has been injured for over a year so the Gunners would likely cut ties with him but Wenger’s signature loyalty might force him to retain the England international. Wenger is likely hoping that he would get Thomas Lemar either in January or in the summer.